It was the 14th hole and I was ready to throw my clubs into the lake. Seriously. I was done. Frustrated. Please don’t get on me about being in the moment or just experiencing the joy of the day and scenery. Perhaps it’s my personality. Maybe it was my pride or competitive nature, although nothing was really at stake. It simply comes down to the fact that whatever I do, I strive to do it well. That day I wasn’t playing golf well. It wasn’t terrible. I wasn’t losing golf balls or anything like that. I just wasn’t hitting any decent shots. Struggling. Yes…that’s the word…struggling. Finally, as I was teeing off on the 14th hole, my brother in law, Mark, watched me set up my swing. He’s a decent golfer. His calling, in my opinion, is as a golf coach. He has a great eye for it. I knows specifically what to look for while helping to correct a swing. He took a look at my grip and suggested I rotate my right hand towards the left around the club head about an inch. Bam. Straight down the fairway. Probably my best shot of the day. Mark made no other corrections. That was it. I parred every hole the rest of the game. Mark just grinned as I asked him why he waited until the 14 hole to offer his guidance. The difference between struggling and great (I would consider par golf as great) is often just one minor adjustment. I’m not talking about massive changes or complete overhauls (although sometimes that might be required). Just a minor shift. Mark didn’t do a complete overhaul. He just helped me make a minor adjustment. The same is true in business. Very often the businesses I work with don’t need massive overhauls. Most are fair or even good businesses that are struggling and just need a minor tweak or adjustment. Despite how much I tried to correct my swing, it wasn’t until Mark, with his outside view, was able to help me identify the adjustment to get my game on the right track. If you have a good business, but your game is off track a bit, perhaps you are struggling, I’d like to offer an opportunity for a minor adjustment. Maybe all you need is a tweak or two. Since I developed the Level 7 System over 10 years ago, I found that if a business is struggling it is because they are not engaged in one or more of 10 critical business activities. Once they implement those activities, we see them move quickly from struggling to greatness. For example, many businesses are not effectively getting their people enthusiastically and purposefully engaged in the vision, values and goals of the organization. Their people, for the most part, are just going through the motions. Engaged in tasks. Getting their paychecks. Many business owners either think they are doing a good job at leading and engaging their people or they discount the importance of it. Those that are open to improvement make the necessary changes and see their business advance. Often significantly. In order to address this issue, the leaders of great businesses are intentionally, consistently and flexibly engaged in the process of communicating the company goals, vision and value to the entire company on a regular basis. There are many ways of doing this. It really depends on the logistics of the company. Some companies conduct monthly (or even more frequently) companywide meetings with the intent to get people inspired, excited and bought in about the direction of the organization. These are leadership focused meetings that are purposeful and very, very intentional. They are not the typical meetings that focus on tactics, events and projects. Other companies use digital methods via videos, newsletter, department gatherings etc. to accomplish the task. Either way, the difference between struggling and greatness could be dependent on how well the business is truly engaging it’s employees. There are nine other critical functions, in addition to the companywide communication function. If you’re interested in learning more about those critical functions and more importantly, determine which ones you are doing well or might be lacking in your business, I’d like to invite you to take the Level 7 Business Success Assessment. 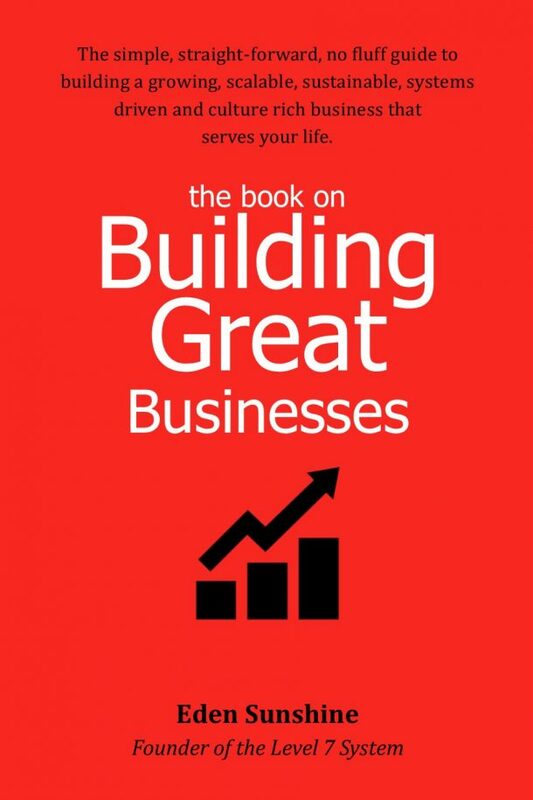 Find out what your business needs to move from struggling to great.